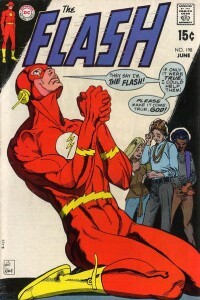 Home / News / POLL: Who Is Your Choice To Play Barry Allen/The Flash On Arrow? Purported finalists (full credit to Latino Review) to play the role of Dr. Barry Allen/The Flash on Arrow and a potential Flash spin-off are now out there (see other posts on this very site to see who they are, what they look like, and what they have done before). Now, we don’t know yet who they will choose, though hopefully that decision and that announcement will come sooner rather than later. So, let’s get a poll going, to see what everyone thinks, before the inevitable announcement comes, eh? All three of the supposed final choices are listed in the poll, but you’ll also get a chance to submit one of your own if you’d like. Who do you think should play Barry Allen/The Flash? Matt Barr was leading this poll, but I see the Glee fans have gotten their hands on it. Je vote Matt Barr. Les fans de Glee ne regardent même pas la série et se permettent de voter. if these three are really the finalists i am going with barr, he has the best look for barry and has more acting creds then the others. Plus he has worked on many shows for the wb/the cw in the past. And we know the wb/cw loves to reuse actors from one show on another. So i believe he will be our barry.